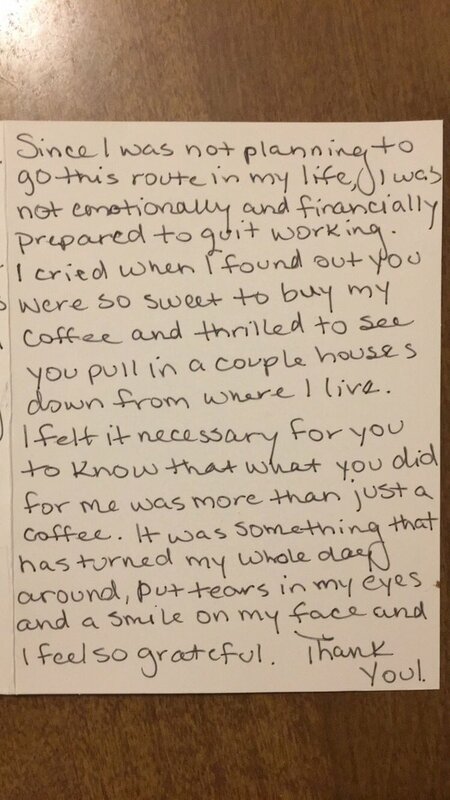 A woman bought a stranger behind her a cup of coffee and received an unexpected ‘thank you’ letter when she returned home. 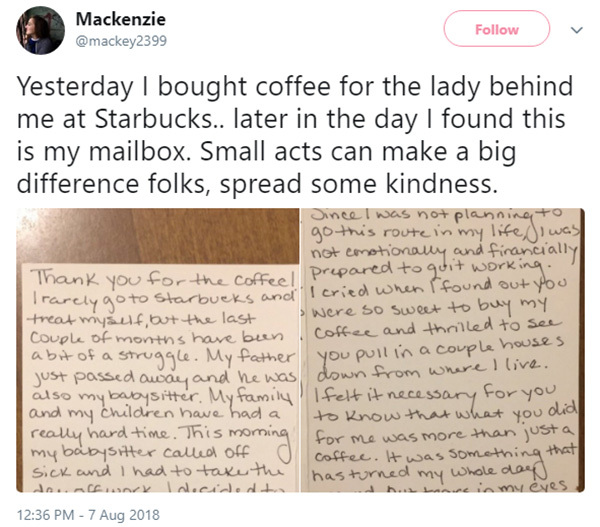 Mackenzie Mauller simply paid for the stranger behind her’s coffee at a Starbucks drive-thru, not knowing how big a difference her small act of kindness would make. 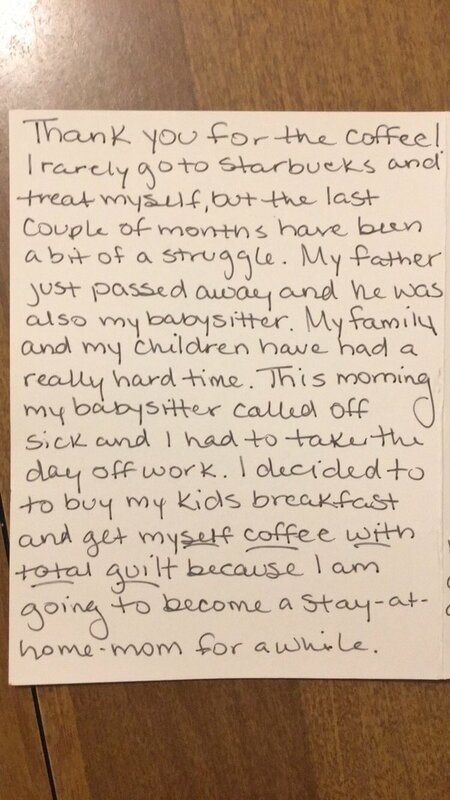 Isn’t it amazing how the slightest act of kindness can make a huge difference in someone’s day?